A top-class sailor from Plymouth University has been selected as a training partner for the Team GB Olympic sailing squad. James Taylor, who is part of the University’s sporting excellence scholarship programme, is already in Rio de Janeiro to help the team train in the run up to the summer Olympics. Specialising in the 470 Class, James will be used as a bench mark for the team’s development and a consistent measure to enable them to improve. The role of a training partner is pivotal as it enables the selected boats to gain every advantage of speed through intense preparation away from the eyes of competitors. In his first year of studying mathematics and finance at the University, James is pleased he can balance his study with his training and competition commitments. Already a four-time national junior champion, he is aiming to embark on a full-time Olympic campaign after he completes his degree. 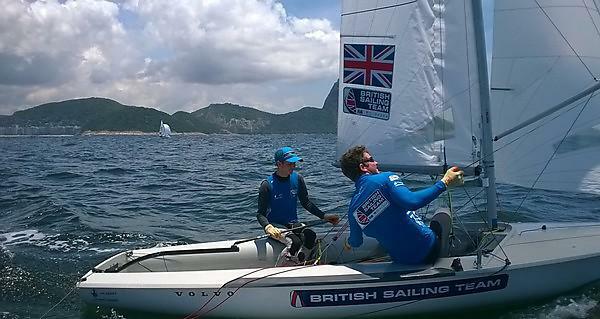 “I am delighted to see Plymouth University Sporting Excellence Scholar James Taylor receive this recognition of his talent, and for him to have the opportunity to contribute so fully to the training and development of Great Britain’s elite sailors as they prepare for the World’s biggest sporting event – the Olympic Games. It is always exciting to see our students experiencing sporting success, particularly at the highest international level.